Vera Wang fragrance and perfume list. 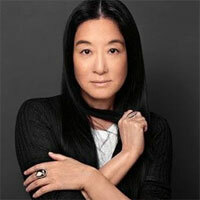 At 23, Vera Wang was the youngest-ever senior fashion editor for Vogue, and after designing accessories for Ralph Lauren, she began creating bridal gowns in 1989. Soon thereafter, Vera Wang became the ne plus ultra label in wedding dresses. The line today also includes jewelry, fragrances, home decor, and a spectacular ready-to-wear.